 Cascone, Sarah. 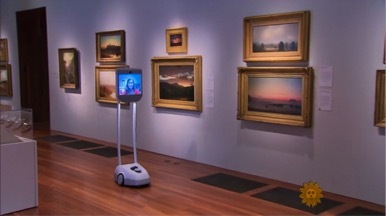 “Robots Give Virtual Tours of the de Young Museum.” Art Net News. March 2, 2015. Web 4 April 2015. Minder, Raphael. “At Museo del Prado, Blind Visitors Can Touch Masterpieces.” The New York Times. March 6, 2015. Web 4 April 2015.